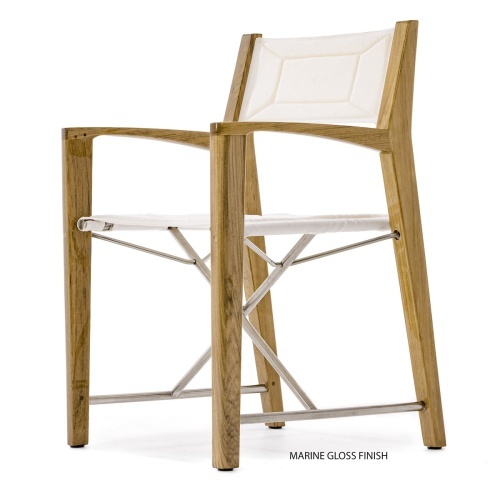 A reinterpretation of the classic director chair with a bold nautical lean, the Odyssey Folding Chair is deceptively light at a mere 18 lbs while it is more than sturdy to endure the test of time and the outdoors. 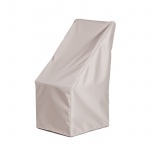 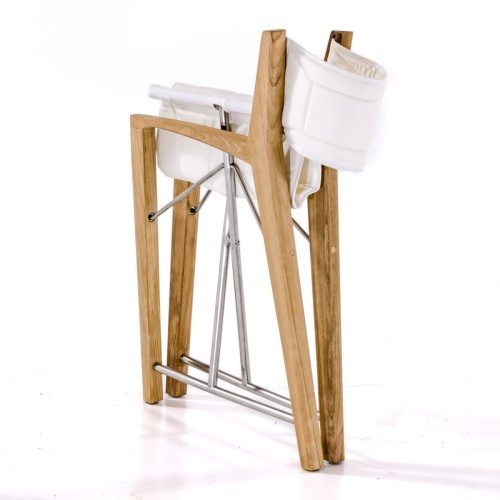 The seat and backrest are made with high performance Sunbrella Natte fabric, cradling the body for lasting comfort. 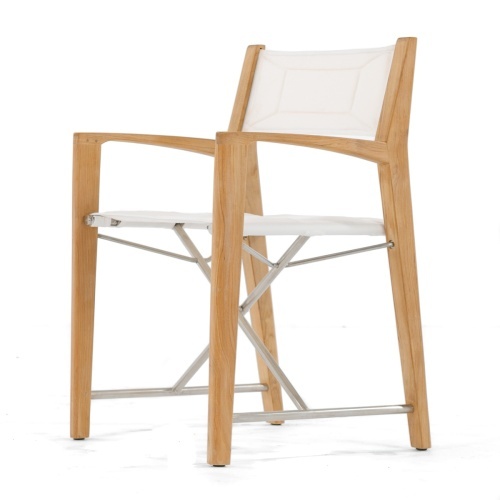 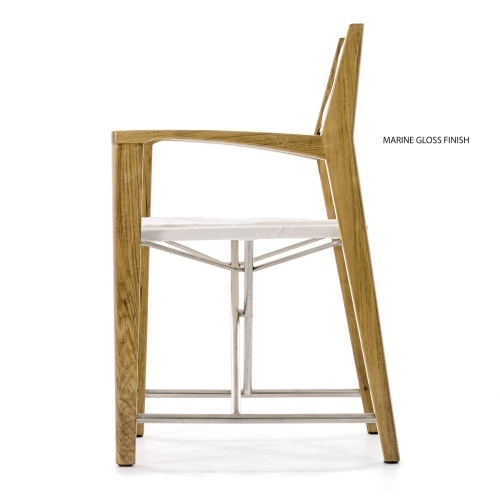 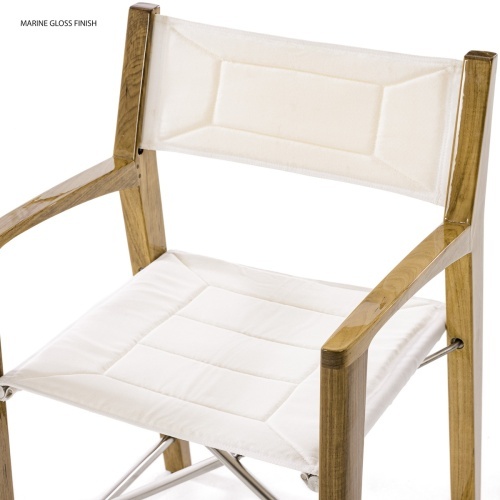 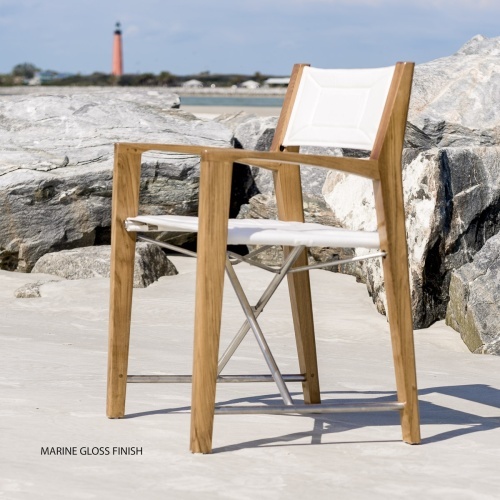 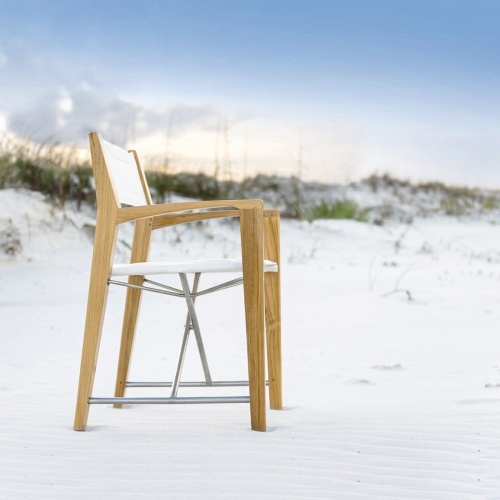 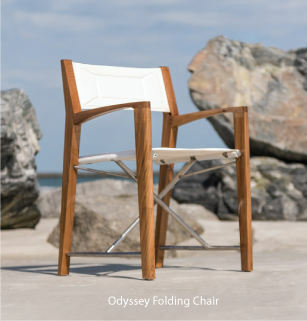 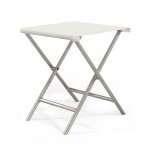 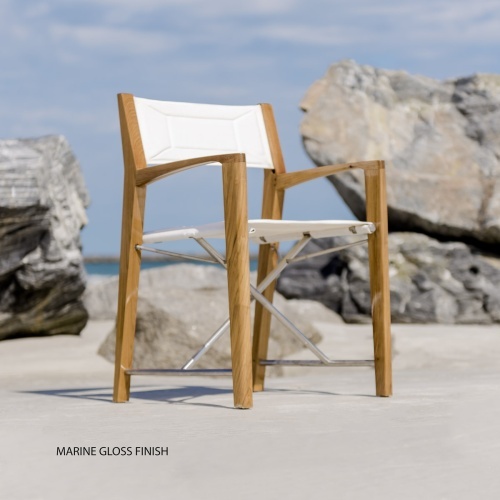 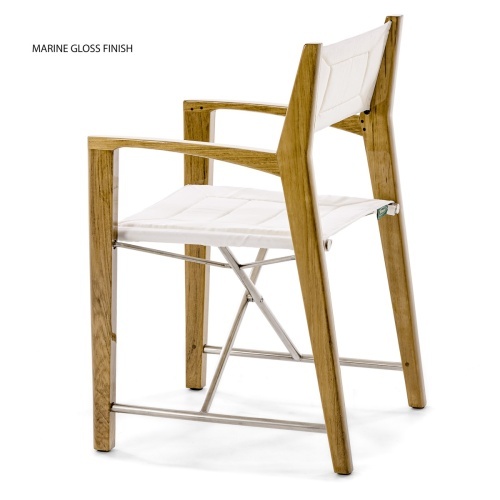 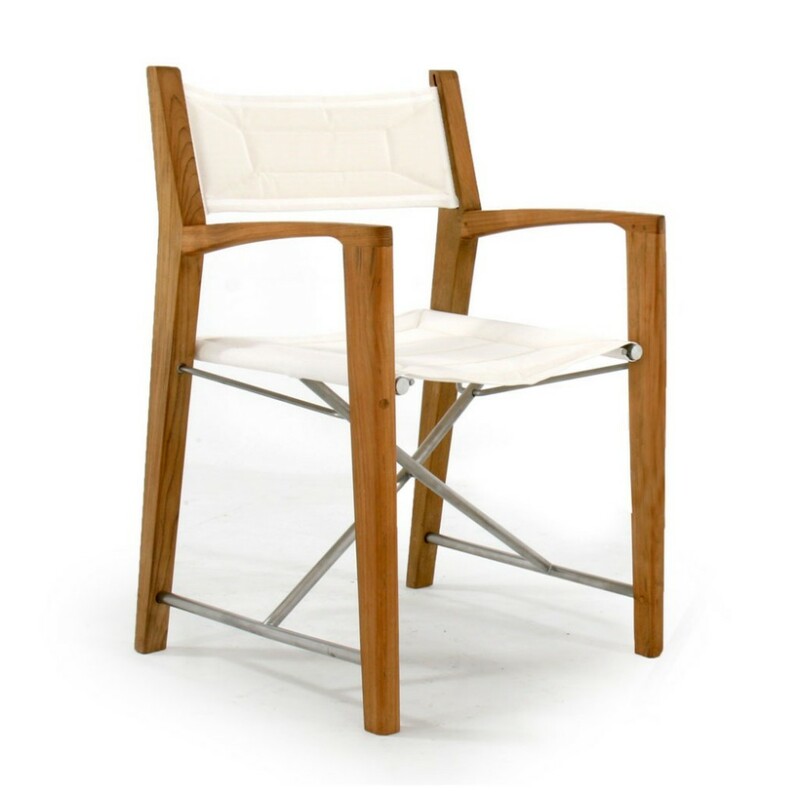 With its sleek, slender lines, the Odyssey Folding Chair will fit seamlessly on the deck of a yacht, the balcony of a high-rise, or the poolside of a home. 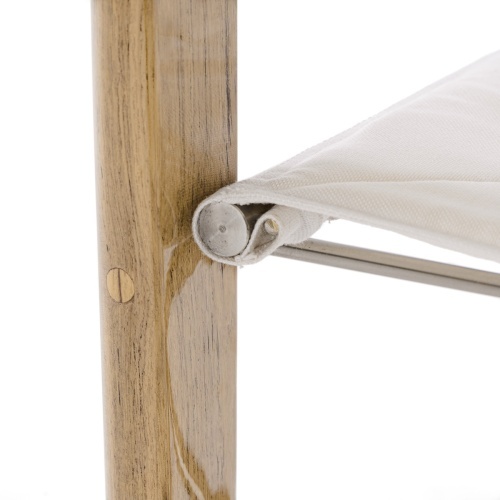 Ships with In Stock Fabric. 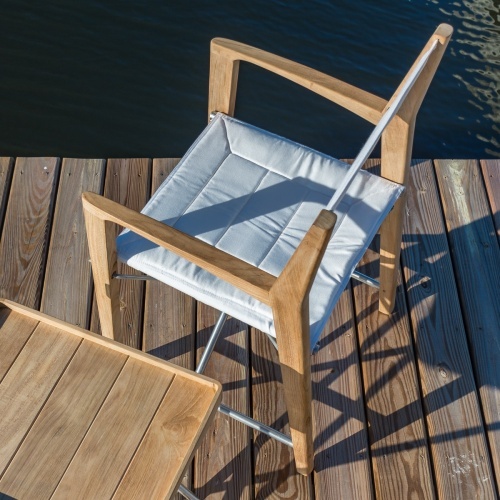 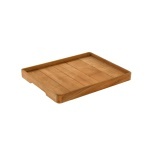 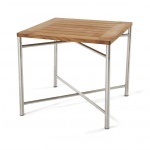 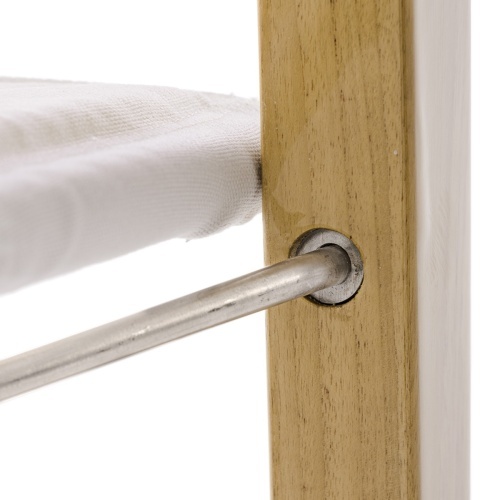 Each piece is precision crafted with 316L Marine Grade Stainless Steel and premium Grade A teak from sustainable plantations in Indonesia.